For me, 2010 was a year of family, friendship, and new beginnings. On this last day of the year, I'd like to share some of my favorite photos from the last 12 months. Toledo Business Journal: Are there any other artists that you hope to work and/or collaborate with that you maybe didn’t have a chance to this time around? Crystal Bowersox: Oh yeah, definitely. I had a few different co-writing sessions, and we had good starts, but it’s such a rushed process coming off of Idol and trying to get an album out in a certain amount of time. I didn’t want to rush anything with these artists. And hopefully for another album, I can work with them again. Linda Perry was one that we barely missed, and I’d love to have a meeting with her again. And Michael Franti. We did get to meet, but we hadn’t had time to work on songs or anything. And there’s always Melissa Etheridge, too. There’s always opportunity for co-writes in the future, and I look forward to it. TBJ: You are active in social media, through Twitter and Facebook. Has that been an important aspect of your career so far and in your interaction with fans? CB: As far as social media goes, Twitter is the only thing that I really am in complete control of. I have a Facebook page, but I don’t get on there and get to spend time on the website or anything. With Twitter, I definitely read everyone’s tweets. So, if you really want to talk to me, people should get on my Twitter account. The Facebook page and website are great, and I’ve been known to check into the forums and read posts and respond to threads. I like to stay pretty active. I think it’s important to stay connected to your fans and I actually try to encourage a lot of people to be happy and do well. You have to know who’s buying your music. Who’s buying your music, it’s very important to know them. TBJ: Does your son, Tony, have a favorite song on our album? CB: No, I don’t listen to it too much, and he likes Thomas the Tank Engine. If that’s not on, that’s not happy. 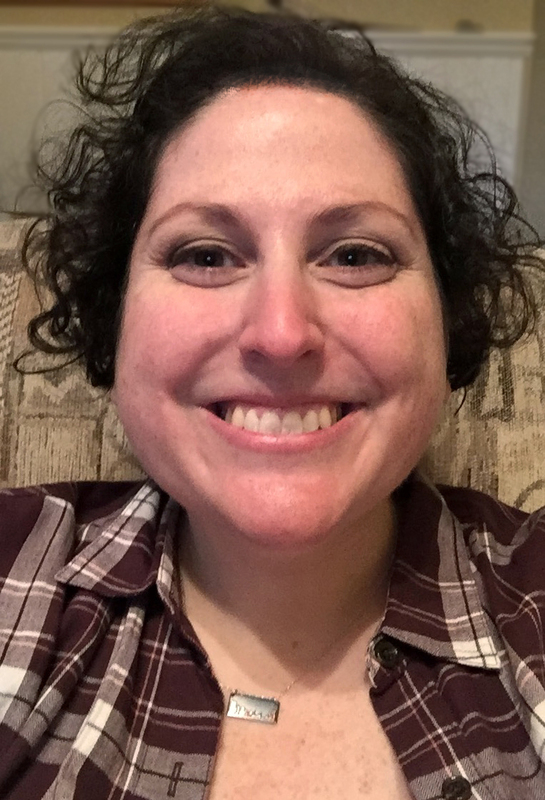 TBJ: Have you heard about the Grammy nominations that were announced recently? I know one of your favorite artists is Ray Lamontagne, and he’s up for Song of the Year for "Beg, Steal or Borrow." CB: Oh yeah, he should get all the Grammys. It doesn’t even matter if anybody else is nominated, it should go to Ray. That’s awesome, I love that. That makes me really happy. TBJ: He beat out Lady Gaga for that nomination. CB: That’s amazing and heartwarming. That’s a song that you wouldn’t think, as far as top radio play goes, but it’s a gorgeous song. The lyrics of that song are pretty prolific. TBJ: Are there any final thoughts you'd like to leave with us? CB: Tell Toledo I love them, I’ll be home soon. As staff editor and reporter for Toledo Business Journal, I don't get to incorporate my love of music into articles all that often. However, I got to do just that when I interviewed Season 9 American Idol runner-up Crystal Bowersox last month, just before the debut of her album, Farmer's Daughter. Because she's from the 419 (and helping to create a lot of local pride), it was a perfect fit for our business publication. 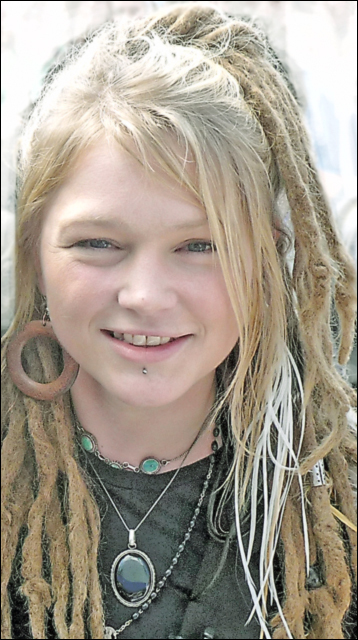 Click HERE to read my interview with the lovely and talented Crystal Bowersox. Last Thursday was a special evening for hundreds of people, ranging from musicians to fans to children in locations spanning from a church in Nashville to orphanages in South Africa. A Night for Hope, in Nashville, brought together a group of six singer/songwriters – each of outstanding talent and varying notoriety – for one goal: to raise as much money and awareness as possible for the Houses of Hope in South Africa and Zimbabwe. Over the course of several hours, the artists performed solo and together in one of the most intimate and amazing venues I've ever been able to experience. Organizers of the benefit concert are hoping to make it an annual event. For me, the benefit was a unique and rare opportunity to combine two of my greatest passions: good music and dedicated contribution (in my own small way) to the children of Africa. As many of my close friends and family know, I visited Ghana, West Africa twice (in 2002 and 2003), and as a result have been forever changed. Similarly, A Night for Hope was the direct result of the participating artists' own life changing trips to South Africa. Witnessing children who are forced to deal with the worst kind of conditions, yet have the greatest sense of hope and love in their hearts, is something that stays with you forever. 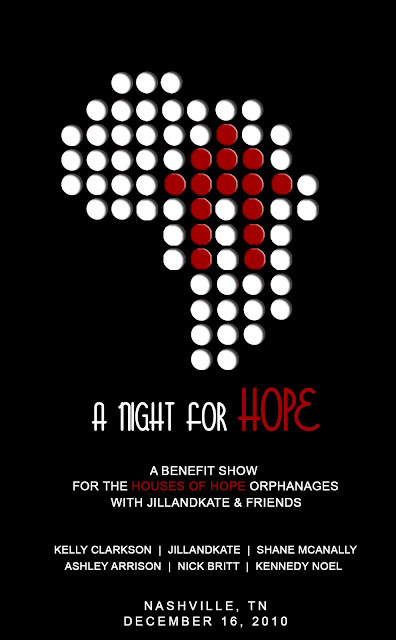 Next week in Nashville, a group of extraordinary musicians is performing at a benefit concert organized by singer/songwriter duo, jillandkate. Cost of admission for the evening is just a $25 minimum donation.